here are some games and fun stuff to free download and print out for your kid(s) to play with: i hope they will enjoy them! please feel free to share these goodies by linking to this website page (not the pdf, please) and come back again to check what's new! 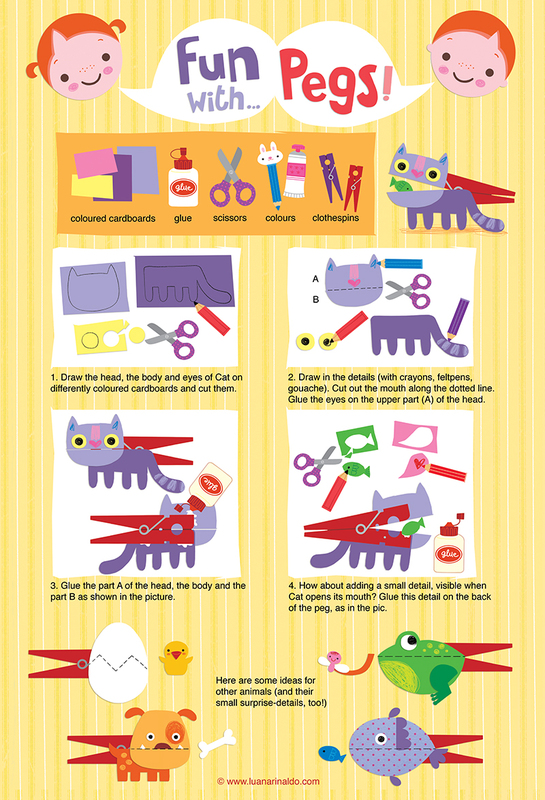 follow the easy instructions and make some fun animals with wooden or plastic clothespins. 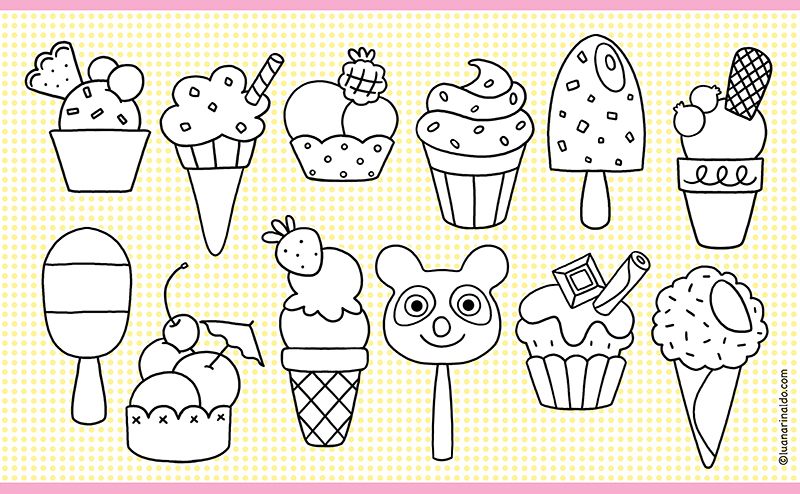 colour these yummy ice creams with your favourite flavours! 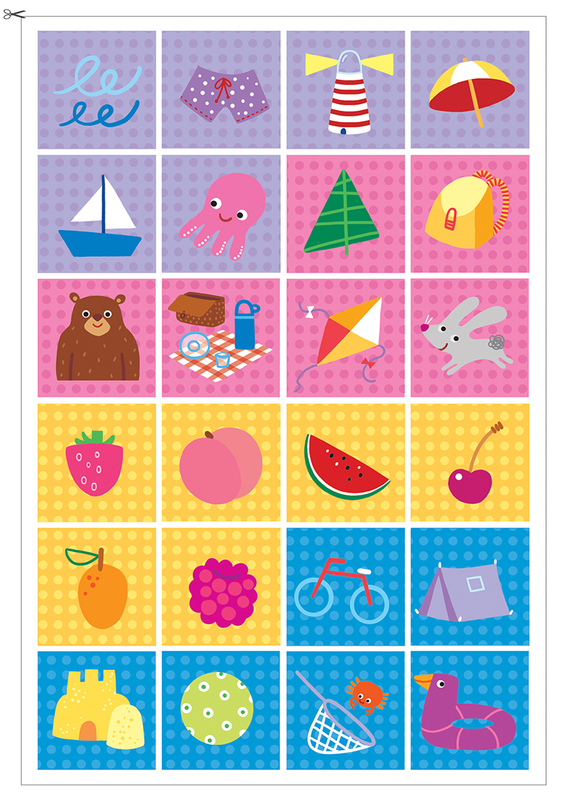 print this page on a4 for on-the-go fun, on a3 for max fun! sudoku is a fun way for kids to develop their logic skills. no maths needed! 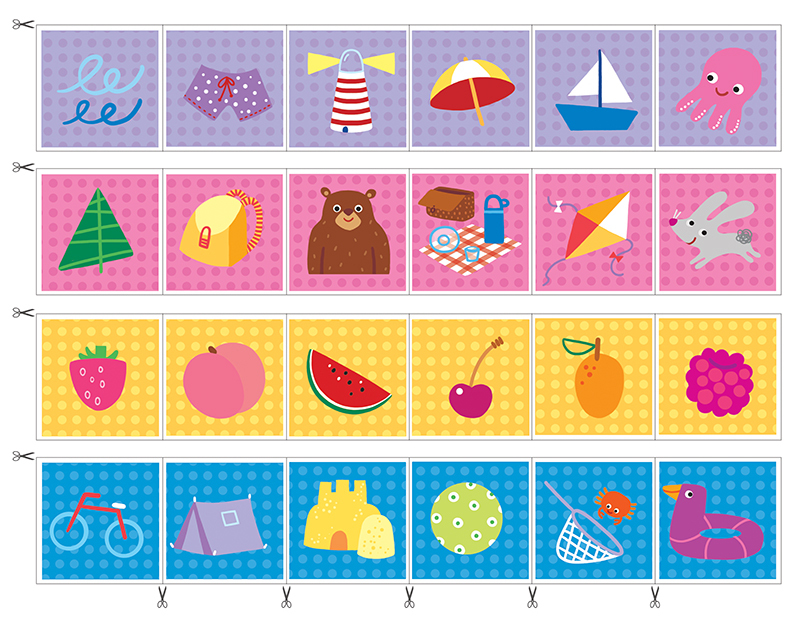 the aim of the puzzle is to place one each of the small creatures in every row/column/grid. 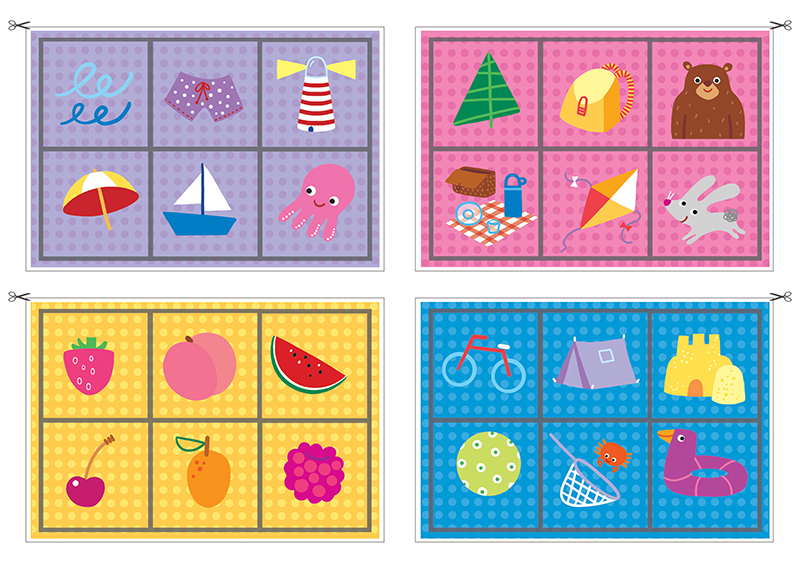 print A and B. cut the little squares A and try to put them all in puzzle B.
print the 4 bingo cards, the call sheet and the 24 call pieces on heavy paper or glue the page(s) to a piece of cardboard before you cut them out. each player chooses a card, the caller draws randomly the call pieces from a non-transparent bag. you can use spare coins, buttons - or even beans! - for markers. the winner is the first player to mark off all their pieces. 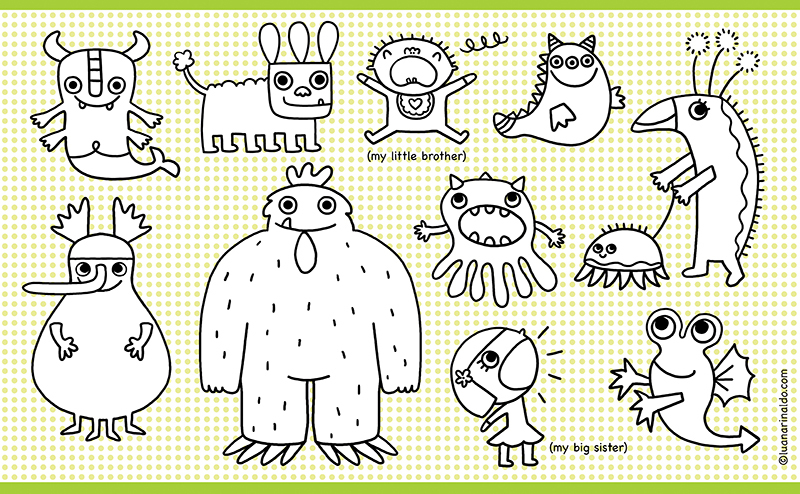 colour these monstrous monsters with your spookiest colours! thank you for using the material for your personal/family purposes only. all the content of this page, as per the whole website, is ©luanarinaldo copyrighted and therefore it can not be used for any commercial/sale purpose. if you are interested in using my artwork for commercial designs or product sales, just email me: i will be more than happy to discuss it with you.